Those detained indefinitely at the end of a prison sentence within the prison estate represent a hidden group within the UK’s system of immigration detention. A number of MPs have come forward in support of a time limit on detention and the end to the detention of vulnerable people in IRCs, including Shadow Home Secretary Diane Abbott. While its excellent to see these issues receive cross-party support, those detained in prison are often left forgotten in demands for reform. In light of the ongoing hunger strike in Yarl’s Wood Immigration Removal Centre and the recent attention on the injustices of the UK’s immigration detention estate, it’s important to continue to highlight the particular issues faced by those detained in prisons. At any one time there are usually upwards of 400 people who remain detained in prison under the administrative procedures of the Immigration Acts, having already served their sentence and awaiting deportation. Being detained in prison has additional challenges compared with being detained in a detention centre as there is far less information and external support and there is no access to the internet or a mobile phone to research your case or phone a solicitor. In fact, research by Bail for Immigration Detainees last year showed that only 1 in 10 of those held in prison on immigration grounds had access to a legal representative. There are also no protections for vulnerable people detained in prison, such as survivors of torture or sexual violence, and no Rule 35 safeguard for detainees which under normal circumstances in removal centres allow for medical professionals to call for a review of a detainee’s suitability for detention on the basis of specific vulnerabilities. The automatic bail hearing that happens every four months for those held in immigration removal centres, does not apply for those held in prison and there are often many barriers to being released. As such they are often detained for far longer. Quite often the length of time one spends in detention is totally disproportionate to the prison sentence served. Last year, one person was detained in the UK for 5 years, 2 weeks and 6 days. It is hard to imagine what it would be like to wait that long, not knowing when you will be deported or released. Those with refugee status or leave to remain may have their status revoked by a Home Office review, for any criminal offence. Non-UK citizens serving custodial sentences are automatically considered for deportation if their sentence exceeds 12 months but can be deported after much lighter sentences. Detention is often justified on the basis that those who are held “pose a risk to society”. Yet very often such custodial sentences are due to petty crime, related to living in poverty or having no recourse to public funds, or due to immigration crimes such as using false documents. One of many such examples was reported on by journalist Rebecca Omonira-Oyekanmi, of a teenage boy incarcerated for using false documents, who was held in prison for 16 months after his initial 2-month sentence. On 6 May 2016 a teenage boy tried to leave the UK. He was apprehended, convicted of using false documents and sentenced to two months in prison. He was 16, he would turn 17 that December. Often those who end up detained in prison grew up in the UK, have their family here and are not aware of their lack of immigration status until they commit a crime and are considered for deportation. ‘Racial bias’ within the England and Wales criminal justice system also weighs against non-UK citizens who commit crimes. In 2016, the David Lammy Review highlighted how ethnic minorities are more likely to receive custodial sentences for some crimes. No one, regardless of their immigration status or their criminal history, should be deprived of their right to liberty for the convenience of the Home Office and then left in limbo indefinitely. As we seek out detention reform, we must make sure that we leave no one behind – we must make sure that reform is not only for those seeking asylum but also for undocumented migrants and for those detained in prison as well. This is a guest blog post by Association for Visitors to Immigration Detainees. AVID are a small, national charity that supports volunteer visitors to immigration detainees, wherever they are held. 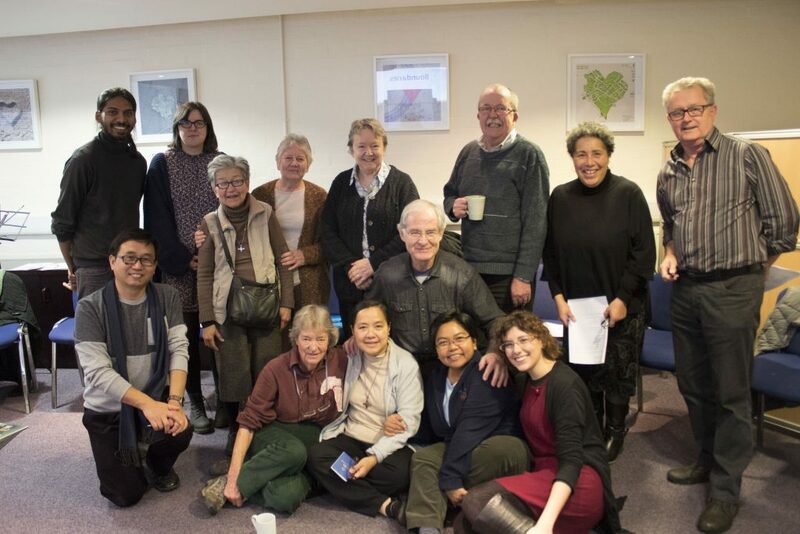 We have 16 member groups that visit in every detention centre in the UK, and some prisons, and we work to raise awareness of immigration detention and advocate for positive change in the detention system. While people detained in prison are often a hidden population, a number of volunteer groups provide a vital lifeline of support by visiting. For more information on visiting people detained in prison, contact us through our website or see BEST Support, SOAS Detainee Support, Detention Action, MIDST and Liverpool Prisons Visiting Group.